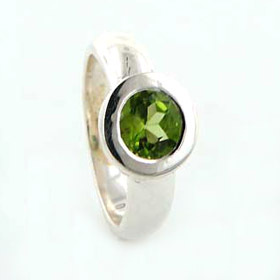 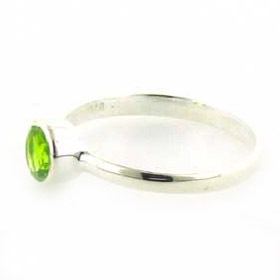 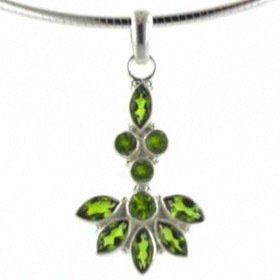 Stunning peridot necklace in sterling silver. 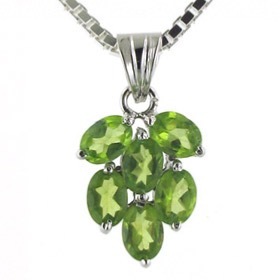 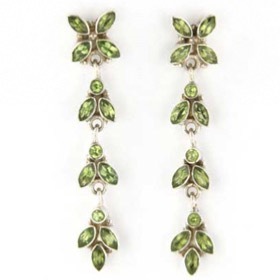 Wonderfully fresh and glistening with peridots this glamorous necklace will always turn heads. 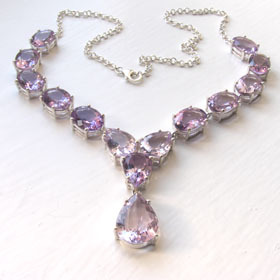 The shape is flattering inside any neckline. 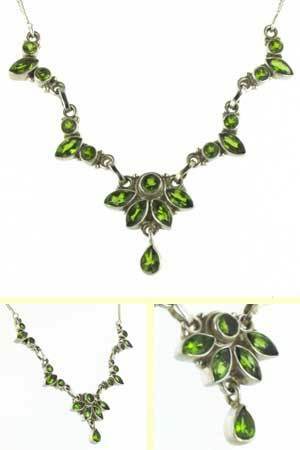 The necklace is sterling silver and fastens with a lobster claw clasp. 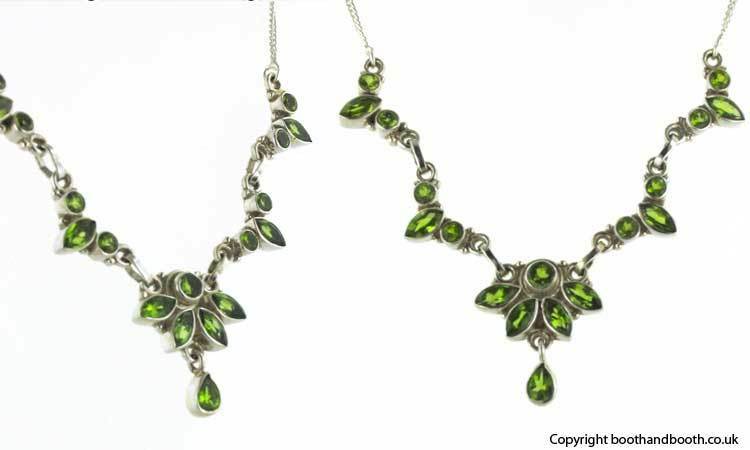 For equally glamorous coordinating earrings to team up with this necklace, see Zena..
A peridot necklace is an August birthstone necklace!